Monday, January 29, 2018 2 p.m. to 3 p.m. 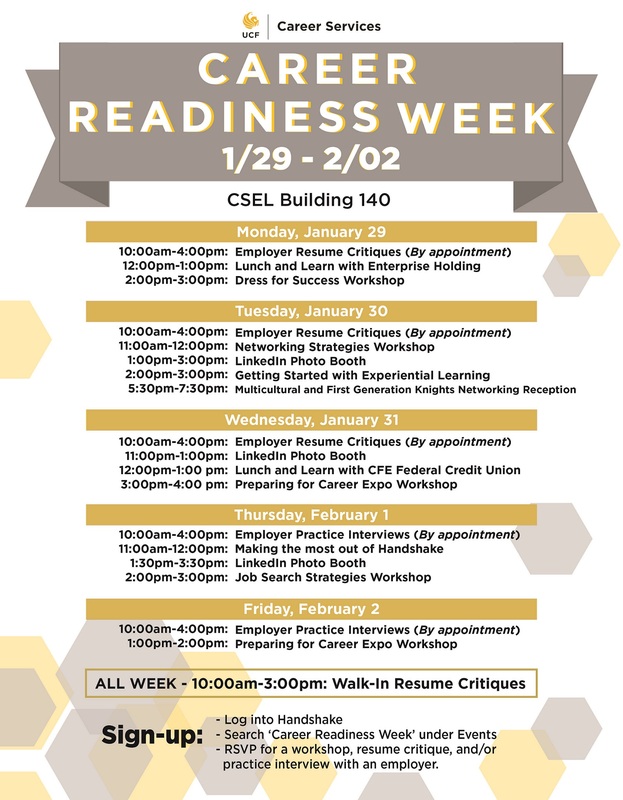 Learn how to dress professionally at this workshop during Career Readiness Week! See the full schedule here!